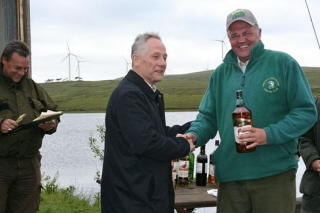 The inaugural Charity Fishing Competition took place at Buckieburn Reservoir, Denny on Saturday 4th June 2011 in aid of Erskine Hospital. 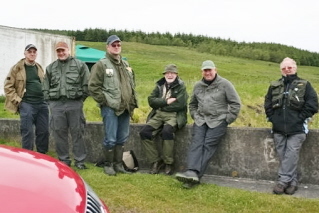 Thanks to the courtesy of the Buckieburn Reservoir Syndicate. 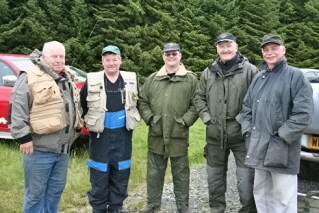 Some 34 fishermen from the Lodges of the Province of Stirlingshire took part with a total of 54 brown trout being caught during the day. Each competitor was restricted to a maximum catch of four fish. 3. Quickest catch of four fish – Bro. Alex. Galloway P.M., Lodge Craiginnan, Dollar No. 850. 5. Second best Novice – Bro. Alan Weir W.J.W. Lodge St. John No. 16.